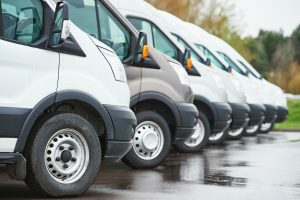 For most small to medium size businesses, having an internal team of mechanics looking after their fleet of cars, vans and trucks is not a realistic proposition due to the costs involved. And yet, all businesses understand the real cost of having one or more of their vehicles off the road. Coby Autos have seven full time mechanics in their Red Cow headquarters, and are well experienced in maintaining fleets of every size, and are currently preferred Fleet Maintenance Team for many blue chip companies around the greater Dublin area and beyond. The advantages of having a proper Fleet Management Plan and a regularly maintained fleet are many. Proper Fleet Maintenance is an investment which saves many companies several thousand euro per annum. We had a customer recently into the garage with a 2013 company car which had broken down on the road. The car was very heavily used and had clocked up over 130,000 kms over its lifetime. Incredibly, it had not been serviced once. As the engine had completely run out of oil, catastrophic engine damage had occurred. The car's engine had to be completely replaced. All of this would’ve been avoided by regular servicing. It's worth noting as well that if your car is of a certain age, replacing the engine isn't viable as the costs involved are likely to be more than the car is worth. A properly maintained vehicle will cost less to service in the long run, as small issues are ironed out before they turn into larger issues. A properly maintained vehicle is less likely to breakdown / or be off the road. Does your business depend on speedy delivery or the transportation of perishable goods? A vehicle that is heavier on fuel, oil etc is likely one that has a problem and / or needs a service. Where your fleet is maintained regularly this shouldn’t arise. How much mileage does your fleet do? Having a full record of your fleets’ service history can put you in a better position to negotiate insurance premiums for your company. Again, well maintained vehicles are less likely to be in accidents. Where a vehicle has been damaged due to an accident we can assess the costs of repair and provide a full work up of such to insurance companies. We can also carry out the work. If you have a problem with one of your vehicles we can arrange to pick up, repair, and return your vehicle to you. Any vehicle with a demonstrable, full service history will sell for a higher price that one without.